Are you getting ready to bring your bundle of joy home? 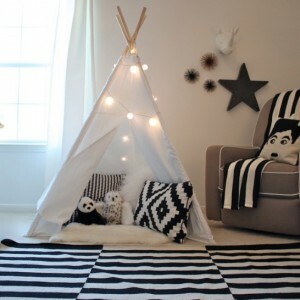 Today I’ll be sharing a few modern design nursery room ideas. 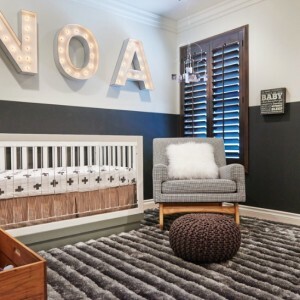 There are so many options and baby room design trends available, therefore a baby’s room no longer has to be a traditional, pastel-colored style. If you like the modern design, then you will enjoy todays blog because I’ve compiled a collection of baby room ideas that your baby will love. 1. Add a dimmer to lighting so that you can adjust the light as you desire. 4. Think about furniture placement and safety once your baby begins to walk. Some good baby-proofing ideas include covering wall outlets, keeping the crib away from window treatments and cords. 5. Make sure your baby’s room is uncluttered with plenty of storage options that make cleanup easy since most of the time you will be holding your baby. 6. Plan on having plenty of floor space so your baby can have floor playtime. Black and white are not the only colors that babies are attracted to. They are also attracted to any bold, contrasting colors in graphic patterns. Great places to include pattern are; a wallpaper or mural wall, upholstery and other textiles, and an area rug. Another place to add pattern and contrast is the ceiling! Babies love to be rocked to sleep, I recommend using a hanging chair or cool, contemporary rocker. Find creative ways to display baby’s name in their room. Some ideas include: Framed letters on the wall, monogrammed sheets or pillows, accessories with your baby’s initials or name, and your baby’s name in marquis light-up letters that double as a night light. It’s unbelievable how many things a small baby needs. Create an easy storage combination, like cabinets, baskets and drawers where clutter can be easily stored, with beautiful, modern open storage like a bookcase wall to display your baby’s favorite keepsakes or books. Below are some inspirational pictures that I would consider using. Call Studio 9 for all your design needs as we are prepare to create the perfect place to introduce your baby to great design! 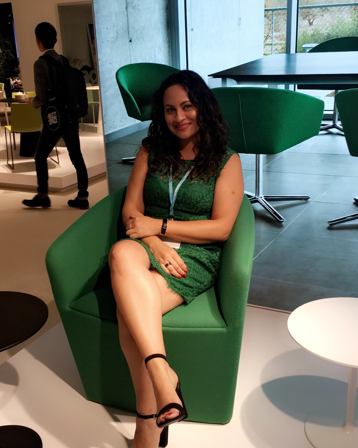 Previous Previous post: Interior Designer On A Budget – Can I Afford To Hire One?